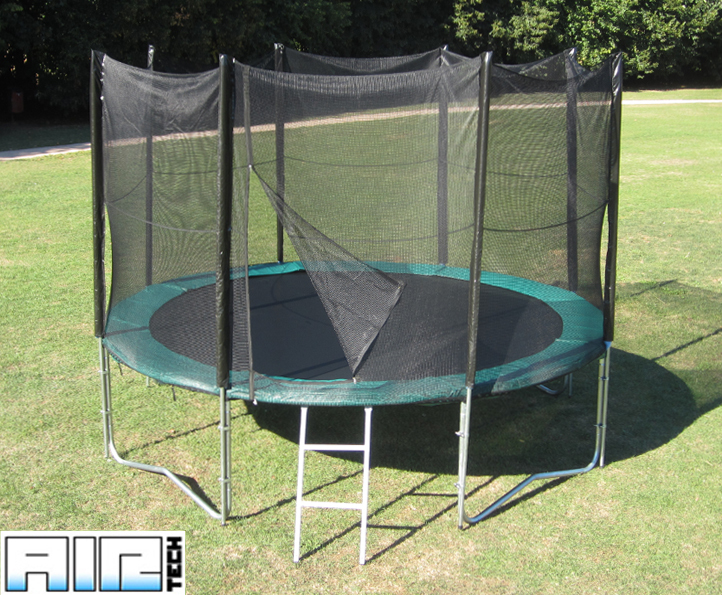 This trampoline is a mid-level trampoline and will give the best bounce characteristics for medium-weight jumpers. The frame is tough 1.5mm steel and will take a maximum user weight of 100kg (15 stone). It sits 70cm from the ground and its 10ft frame gives a 8' 8" jump area.